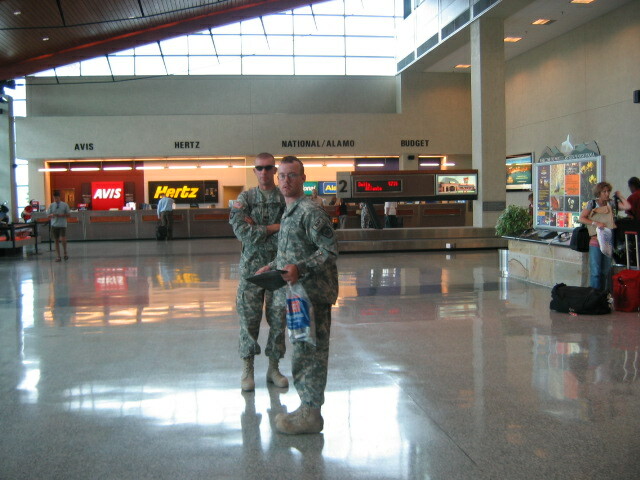 This page is dedicated to my son Howard as well as all our troops serving in Iraq and Afghanistan. We appreciate all you have done and sacrificed so the American people can enjoy the freedoms we have today. Thank you so much! Howard just finished a tour in Afghanistan last week. We salute you all. Welcome home soldier! Please visit the site below and show your support for our troops. Adopt a soldier today. You won't be sorry you did. You can be a Soldier's Angel by clicking on the link below that says "Soldier's Angels"
I am a Warrior and member of a team. I serve the people of the United States and live the Army Values. I am disciplined,. physically and mentally tough, trained and proficient in my warrior tasks and drills. I always maintain my arms, my equipment and myself. I am guardian of freedom and the American way of life.